Color(s): Brindle, black, fawn, yellow, wolfgray; Markings of spotted white, black mask. 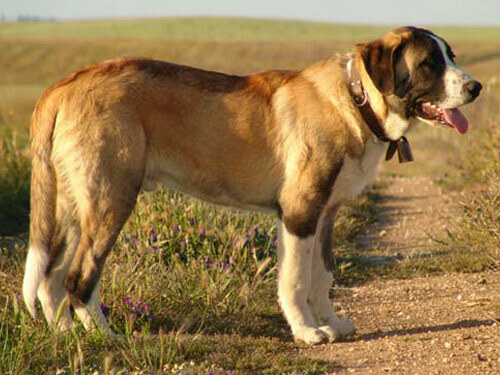 Believed to be descendants of Tibetan Mastiffs, the Rafeiro do Alentejo was used to guard and move cattle and sheep. They were also used to guard farms, homes, and estates. This breed is still a working breed in Portugal. However, Rafeiro do Alentejo's are extremely rare in North America. The Rafeiro do Alentejo is powerful, serious, and muscular. This breed is highly diligent and alert, especially at night. Rafeiro do Alentejo's are fierce, independent, agile, and swift. The Rafeiro do Alentejo breed is not recommended for first time dog owners. They are extremely territorial of their home, family, and anything or anyone placed under their protection. The Rafeiro do Alentejo is affectionate with their family, but highly suspicious of strangers. They typically get along with other pets they have been raised with. Rafeiro do Alentejo's do well with children as they are a calm, docile, and steadfast breed. The Rafeiro do Alentejo requires very minimal grooming. The coat must have thorough brushing during their seasonal heavy shedding. Due to the rarity of this breed they are relatively healthy, although hip dysplasia may occur. The coat of the Rafeiro do Alentejo is of medium-length, dense, straight, and thick. This breed is a seasonal heavy shedder. Early socialization and obedience training is absolutely crucial. Rafeiro do Alentejo's are stubborn and dominant. Therefore, they require a strong and dominant handler. They do not respond to harsh or heavy-handed methods. Training must be done with motivation, firmness, respect, fairness, and consistency. The Rafeiro do Alentejo does not require much exercise. However, they are not recommended for apartment living. This breed does best with a large securely fenced yard or rural setting.